you go get your own! 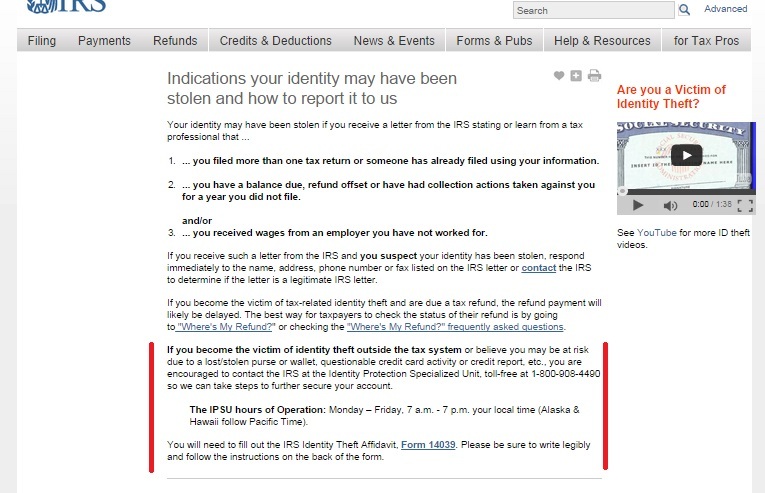 The IRS Impersonation Scam – You’ve been ALERTED! If something is as certain as death and taxes, we know that it’s super serious. And if that something is actually about taxes – with an IRS agent barking at the other end of your phone line – then it’s not just serious, it’s frightening as well. When my husband sent me this text while I sat waiting for him to return home from work, I went from numb with shock to alert to up for the job like lightening all in a span of five seconds. I popped open IRS.gov and found that our local IRS office closed at 4:30 pm. My clock said 6:00 pm. There was one more number there that I dialed and it got me an answering machine. No live help. I looked up a few more links on the Contact Us page, cursing all that reading material there and cringing at remembering every TV ad I’d ever seen of tax attorneys shouting out to save poor lost and fearful souls from the grim clutches of the IRS: Don’t let the IRS harass you! Contact us! I wished I could get one such attorney right then. I called the number and after an initial five minute routine of for this, press this and for that, press not this, I was put on hold. My wait time ranging from 15-30 minutes. That was all I could do then. I could only wait and text my husband who was probably sweating at the other end of the line under pressure from the still badgering agent. The minutes slipped by. The Hawaiian melody they played for my entertainment was soothing no doubt and I must say I wasn’t quite as unnerved at discovering that I’d waited for some 40 minutes before I got an agent to talk to. What followed was a crazy mix of both extremely good and bad news. 1. Three minutes before I got through to my IRS agent, my husband texted me that he’d wired the demanded dollar amount to the agent he was talking to, and that he was on his way home. I was nearly in tears at that. He wasn’t going to jail! We’d paid whatever the IRS thought we owed them just like the good citizens we thought we were. 2. When I finally got my IRS agent three minutes later, she all but choked back tears of her own trying to simultaneously apologize and break the terrible news to me that we had just been scammed in the name of IRS. She checked our accounts, told us everything was beautiful, we were great citizens, we didn’t owe IRS anything, and then she thanked us for paying our taxes. Sigh – if only I could talk to her fifteen minutes earlier! We all coulda been saved all those tears and high drama. Apart from that, the most important thing the agent told me that day was that no matter how horrifying we think the IRS is (not exactly in these words), it would never call up taxpayers and demand payment and/or threaten with an arrest like that other agent had. These scammers work on our nerves; use pressure tactics. That’s how they win. And they time their scams very well. For instance, he called my husband at a time when all IRS local offices and even most banks were closed. Hubby had to rush to a money counter at Kroger to wire him the amount. And the dollar amount that they told us was believable – not so small that we’d laugh it off nor so exorbitant that we’d pass out before paying it. •	If you ever receive such a letter or a call, do not cave under pressure and pay but always, ALWAYS, get in touch with an IRS agent or call the cops yourself. •	The number you should call under such situations, the one that I called and talked to, is 1-800-908-4490. 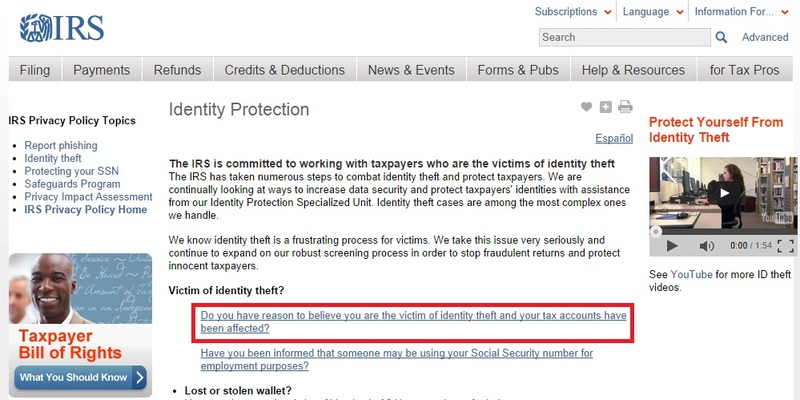 It is for the IRS Identity Protection Specialized Unit. 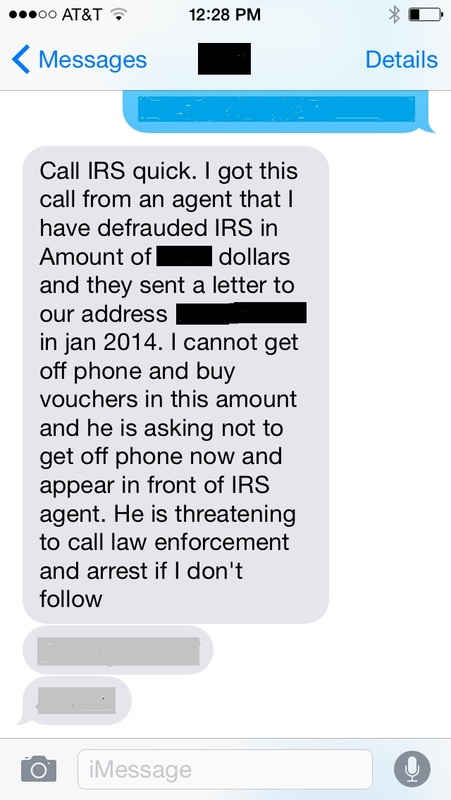 •	IRS will never call and demand/coerce payment from you and/or threaten with arrest without due process. •	If you, unfortunately, are scammed, report it at TIGTA or call the TIGTA toll-free hotline at 1-800-366-4484. •	Visit the IRS website for updates frequently. Following our report filing at the above link, an agent from our local IRS paid my husband a visit at his workplace. He took another interview of him, jotted down the details once more and revealed that this scam is horribly widespread – as much as two cases per week in the city we lived in. He said it is very difficult to catch these crooks as these calls are made from overseas, primarily from countries where the US has outsourced jobs. The employees there have our information and while they might call you up during the day to sell you a vacation package or car insurance, they might call you to rob you off your hard earned money in the evening. The IRS has alerted money vendors, banks and such and though they are advised to alert their customers, they aren’t required by law to do so. Hence, the brunt of providing safety to us falls on us – the potential victims. Until the day when the IRS or the Congress comes up with a better plan to protect We the People against these crimes, be wise, stay safe and protect your wealth. And share my story and protect others from becoming victims. Bless you all!